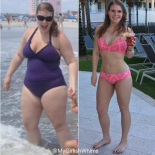 Join My Girlish Whims who has lost 100 pounds to get ready summer ready! Keep the momentum going! A new game has been set up for all players starting on Jun 05, 2017. Woohoo, plan on joining the next one but jumped into one that starts Monday so I wouldn't lose momentum! Rachel S. likes this comment. I believed this to be a one month contest and missed the weigh in. Feeling a little disappointed by the site. Oh no that stinks. Yeah, they are always 4 weeks and it gives the start and end date as well as weigh in date. Did you not get an email? Your game has now been finalized. Congratulations to the winners! You earned a 40.5% return on your money simply by investing in your own health. Don’t you wish all of your investments paid out at that rate of return? - Overall MVP: Jill M.
- Most Generous Liker: Megan C.
- Most Liked Comment: "I've been feeling so motivated! I think it's officially back and I can kick the last of these lbs off of me! 2 lbs until I'm back in the 140s for the first time in 6 years!! " by Aurora A.
kristin p. , lisaasofie and 7 others like this comment. Wauw such a nice price for my first bet! Does everyone win the same amount, even if you lose a lot more than your goal? I guess so right? Do we know how much winners are making this diet bet? Thanks, and congrats to everyone! This is my second round of dietbet (I do 3 at a time, so 6th game) and it does seem to be taking longer than my others, but this game also has way more people. I'm not sure if it's an organization issue or a lot of people are being audited. 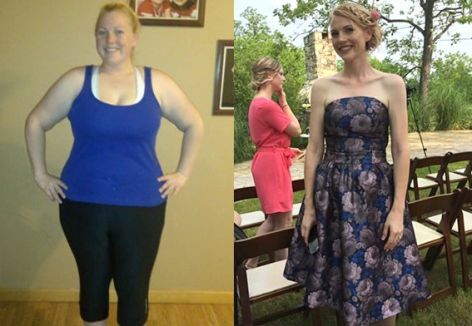 Hi All -- First off: congrats to our winners .. loved doing this with y'all & pumped for my first ever Diet Bet win! So happy to win and be verified now I'm off to join slimming world to give me the boost I need to lose another 2 stone! How long does it usually take them to finalize the game? Rochelle S. likes this comment. My first diet bet, and the first time EVER that I hit a weight goal!!! I woke up totally stoked, and more so because I've never worked so hard at anything in my life, and it was well worth it! It was definitely a roller coaster, but stayed consistent. Thank you all for your supportive words, and for being such inspirations to me. Nothing can stop me now! lisaasofie , Nina B. and 6 others like this comment.